DJI Tello Review: The Best Drone Under $100? Home/Reviews/Drones/DJI Tello Review: The Best Drone Under $100? ​This week we’ve been having a play with the new Tello drone, and to be honest, we’ve been having a blast! We’ve been incredibly impressed with the drone and as such have decided to write a DJI Tello review. But first, what exactly is the Tello drone? There seems to be a bit of confusion out there about who actually makes the Tello drone, with some (most), calling it the DJI Tello and some calling it the Ryze Tello. Which one is right? Well I guess you could say that both are right, in a sense. Ryze Robotics are the official manufacturer and producer of the Tello drone. However, they’ve also worked alongside DJI to implement their technology into the Tello drone. As most people call it the DJI Tello, we’ll be going along with that in our Tello drone review. ​Summary: ​​The Tello is a fantastic micro-quad copter designed for any skill level pilot. Suitable for both indoor and outdoor flying, its 13-minute ​battery life provides ample time for enjoyment in the air. Who's the Tello Drone Meant For? To be honest, the drone is meant for absolutely anyone. Its lightweight design paired with its pre-installed prop guards make it extremely difficult to break. This means that kids, teenagers, pensioners, first time pilots, anyone can have a go at piloting the Tello (providing you have a smart device compatible with the Tello App). As well as this, you also have the choice of slow and fast mode, so depending on your confidence levels, you get to decide how fast the Tello is able to go. Again, it’s worth noting that the drone doesn’t actually come with a charging cable. I luckily had one lying around from my portable speakers. According to the drones’ quick start guide, you should always use an FCC/ CE USB adapter that is rated at 5 V and 1.5 A or above. Once you’ve plugged the drone in, you’ll see a blue flashing LED light next to the camera. The flashing light means that it is charging, whilst a solid blue light means that it is fully charged. It took my drone around about ​1 hour and 15 minutes to charge, which wasn’t too bad. 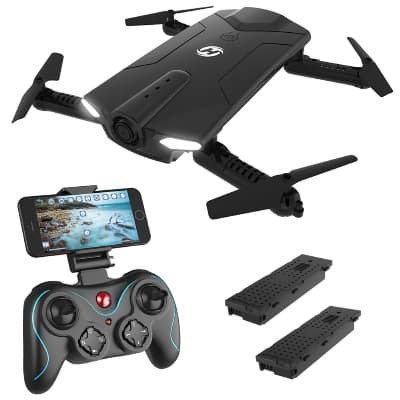 Before I talk about how you go about connecting your device to the drone, it’s probably a good idea that I list out the Tello’s compatible devices. If you don’t see your device on there, don’t worry. Support for additional devices are continually being tested, so it might not be long before you’re good to go. Android version 4.4.0 or later. Compatible with Samsung S7，Samsung S6 edge，Samsung S5，Samsung Galaxy note 4，Samsung Galaxy note 3，Huawei Honor 8，Huawei Honor 9,Huawei P8 Max，Huawei P10，Huawei Honor V8，Huawei P9，Huawei nova2，Xiaomi 6，Xiaomi Note3，Redmi 4A，OnePlus5，vivoX6，Google Pixel1 XL，Google Pixel2. 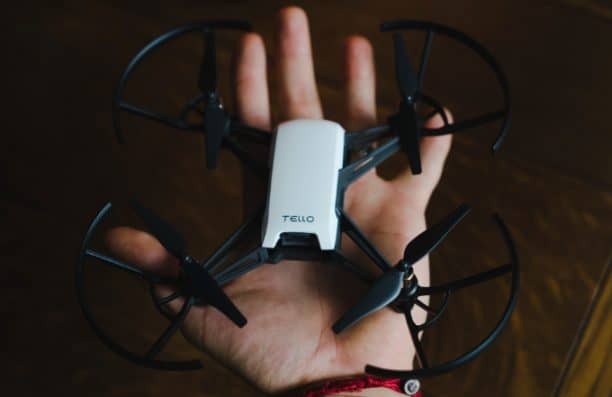 ​When your first open up the Tello app, you will be greeted with a set of instructions on how to connect your drone to your device. If you’ve ever flown a DJI drone or something similar, you’ll already be pretty familiar with the process. Launch the Tello application on your device. 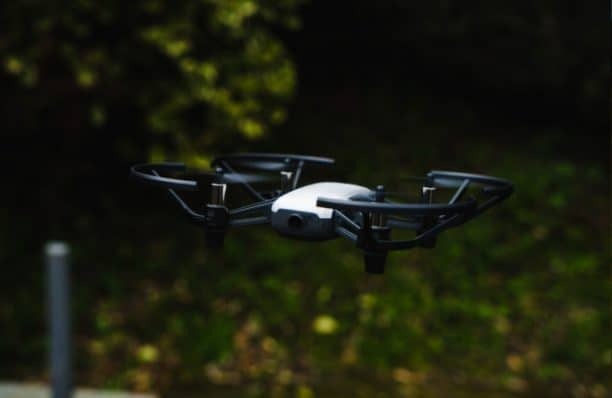 You will know if you’re device is connected as you will see a live video feed on your screen as well as a flashing yellow LED light next to the drones’ camera. Now onto the the Tello drone review itself! The Tello sports a very sleek and minimal design, slightly reminiscent of the DJI Spark. I knew the drone was going to be small, but I couldn’t quite believe how small it was when I opened up the box. The drone is just 98 x 92.5 x 41mm and weighs only 80g with the propellers and battery attached. For such a small drone, it really does have a lot to offer. It’s also worth mentioning that the drone comes with the pop-guards attached. This is probably because the drone is designed to be flown by all skill level pilots, including those who are not yet experienced in piloting and are more likely to crash. If you don't like the look of the prop gueards, you’re able to remove them using the tool that comes alongside the Tello drone. How Does Flying With a Smart Device Feel? Fortunately, I’ve had a bit of experience flying a drone directly from a touch screen device. Some drone companies really nail it, whilst others seen to make it extremely difficult to use. I’m happy to say that the Tello is one of the easiest drones I have ever flown from my phone. It was incredibly easy to set up, the controls were responsive and I had no issues keeping the drone under control. The layout of the app is very simple and easy to use. If you are unsure on any of the controls, you’re able to get a run down of all the controls and what each button is responsible for. To take off, you simply slide the take off button and the drone will get itself in the air. Once in the air you can select from a range of flight modes, speeds and camera functions. On my first flight I kept the drone in slow mode, however I thought for my second flight it was time to turn it up a bit. I swapped into fast mode and was taken back by just how fast this little guy is able to fly. I did however notice this depleted the battery down quicker, but that’s to be expected when you’re pushing a drone to its limits. I noticed a slight delay between the drones movement and the feedback displayed on camera, but you can’t really complain when the connection is established by Wi-Fi. Similarly, its 10m altitude cap is slightly annoying, but comes with flying a drone over a Wi-FI connection. One thing I do love about the tello is how it’s both and indoor and outdoor drone, whether your bored in the office or looking to hone your piloting skills outside, the Tello cam suit any occasion. If you are planning on flying the drone outdoors, make sure it is not too windy of a day. Because the drone is so light, it does get blown around a bit in high winds. There was a pretty mild breeze when we tested out the Tello and although handling it pretty well, you could definitely notice the winds effects. Incredible Flight Modes For Such a Cheap Drone! How To Use The Throw & Go Feature? All you have to do is select the throw and go feature from the flight mode menu. Then, place the Tello in the palm of your hand and throw it upwards and outwards. The drone will then balance itself in the air and hover in place. If you are planning on utilizing this feature, I would start by doing it over grass first just in case something goes wrong. If you take a look at the bottom of the drone, you’ll see a couple of sensors. These are able to detect the surface below the drone and allows the drone to hover in place. This meant that the Tello was able to hold in place extremely well and barely moved when I was not inputting any controls. If you increase your altitude closer to the 10m limit, a prompt appears on screen notifying you that the VPS position will not work as well. 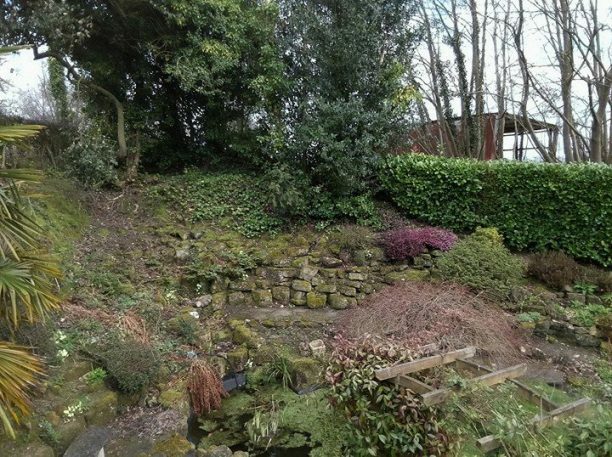 This is definitely noticeable, as the drone swayed from side to side a lot more when I was not inputting any controls. To be honest, the Tello is definitely not the drone you want to be using for high quality cinematography/ photography. Due to the absence of a gimbal, the camera makes use of digital image stabilization, similar to that of the Parrot Bebop. This does work kind of well, however if a gust of wind blows the drone, it is definitely noticeable in the recording. Although equipped with a 5 megapixel camera and able to shoot 720p footage, it’s camera can’t really rival that for higher spec drones. That’s not surprising considering that it costs under $100, so bearing that in mind the camera really isn’t that bad. I think the photograph quality is definitely better than the video quality, as when I watched the video back it did seem a bit laggy. This is probably because the drone records straight onto your smart devices storage, not onto an SD card. I guess whatever latency appears when flying the drone, will be visible when playing back the saved recording. Having said that, if you’re looking to take a few snaps to populate your Instagram feed, then the Tello is more than capable of delivering. I was extremely impressed by the Tello’s 13-minute flight time, for such a small drone this really isn’t bad at all. Especially when you consider this is just 3-minute less than the DJI Spark, which costs at least triple the price! You can always double (or even triple) the flight time by buying a few spare sets of batteries, which you can pick up for less than $20 here. 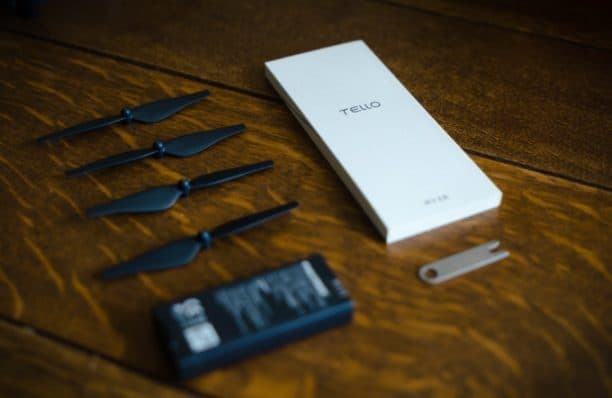 As I mentioned earlier on in our Tello review, the drone establishes a connection with your smart device over Wi-Fi. If you’ve ever flown a drone like this before, you’ll know that this greatly limits the aircrafts maximum range. For this reason, the Tello has a maximum control range of 100meters, which may not seem like a lot, but definitely this. Considering that you’re not allowed to fly a drone out of line of site, seeing the tiny Tello drone beyond 100m would be pretty tough anyway! The only real annoying part of the Wi-FI connection is its’ 10m altitude limit. I would have liked to take it slightly higher, but I was prompted with a warning message saying that the connection was getting bad. One of the most awesome aspects of the Tello is its gamepad compatibility. We unfortunately don’t have a controller as of yet, so will be updating our review once we’ve tried it out. From what we can see, there are a number of controllers that are compatible with the app, including the iPhone Gamevice and the soon to be launched GameSir T1D. The Tello drone is also programmable by Switch, which is a ​software developed by MIT that helps those who do not know how to code learn the basics. You may even remember using it whilst at school during IT class! If you’re a bit more advanced than a beginner, you can even develop your own software for the Tello drone using the Tello SDK. 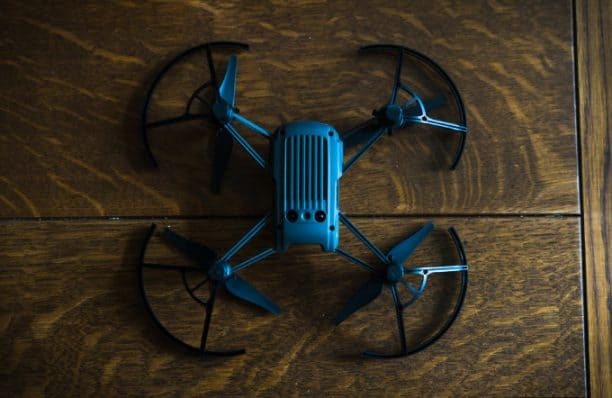 ​Extremely cheap – If you’re a beginner or just looking to add another drone to your collection, the Tello offers incredible bang for your buck. ​Awesome flight modes – I had a tonne of fun using the different flight modes that the drone has to offer (especially the throw & go, I could have done that all day). ​Incredibly responsive- I’m always dubious about flying a drone from a touch screen device, however the Tello more than impressed me with its intuitive application and responsive controls. ​Great flight time for such a small drone – This is probably because the drone’s so light! 13-minutes is incredible for a quad copter that size. PLUS, you can double the flight time for less than 20 bucks - Awesome! 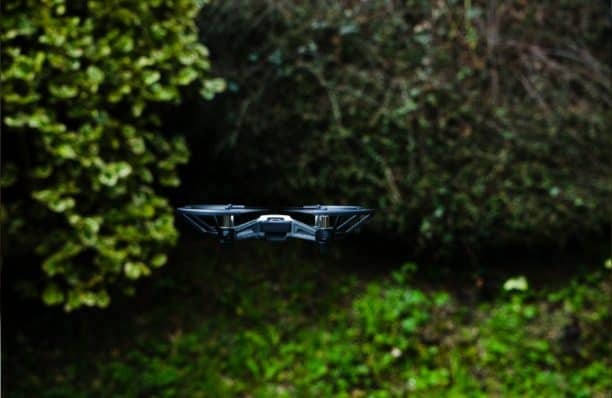 ​All round greatness – In my opinion, this is 100% the best drone that you can buy for less than $100, no doubt in my mind. ​Doesn’t come with a charging cable – I found this pretty silly, I mean what other device do you buy that doesn’t come with a charger? Luckily, micro-USB cables are pretty common, but still a strange move in my opinion. ​Can’t fly if it is windy – If there is a slight breeze the Tello should be able to handle it. However, due to its lightweight design, strong winds will make it a bit tricky to fly. ​Slightly slow charging time – Maybe this was because I was eager to get flying, but the charging time did feel unnecessarily long. Although the Tello comes with everything you need to fly (minus charger), it can never hurt to have a few accessories. Especially considering how cheap the Tello’s accessories are! I’ve listed some useful accessories below, which you can buy from the DJI Store. The DJI Spark is a bit of an upgrade from the Tello drone. It features a much longer flight time, better camera and significantly more features. Unfortunately, it does cost a fair bit more than the Tello, but is definitely worth the price. The Spark is also compatible with a transmitter that makes piloting the drone a lot easier! The HS160 is of a similar price to the Tello, however posses a few differences. The Holy Stone comes alongside a transmitter, which can be connected to a smartphone and used to pilot the drone. The drone itself is also foldable, however even folded the two are pretty similar in size. You also get a few more accessories alongside the drone, including 2 spare batteries, landing pads, USB charger and a dustproof bag. The HS160, has a significantly shorter flight time though of just 7-9 minutes, so those spare batteries are extremely important. 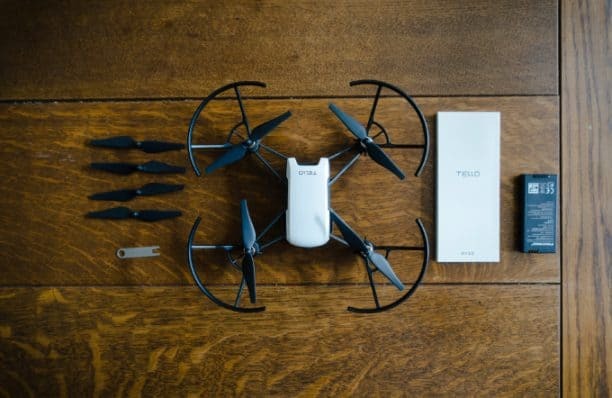 Should you buy the Ryze Tello Drone? Our verdict: A HUGE YES. It’s safe to say that the Tello drone is by far the best drone we’ve ever flown under $100. It features an incredibly flight time, can be flown by anyone indoors or out and its accessories are extremely cheap. No matter the skill level, the Tello is suitable for anyone. Whether you’re a first time pilot, a teenager or a child, or even a long time hobbyist, the Tello has something special to offer. I hope that you’ve found our Ryze Tello review helpful, and as always if you have any questions, please feel free to comment below. The DJI/ Ryze Tello drone is a micro quad copter designed for all skill level pilots. 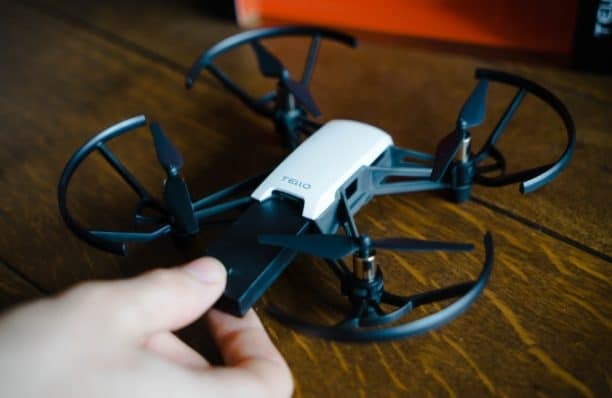 For such an incredibly cheap drone, the Tello boasts some incredible specifications and features that make it by far the best drone under $100. 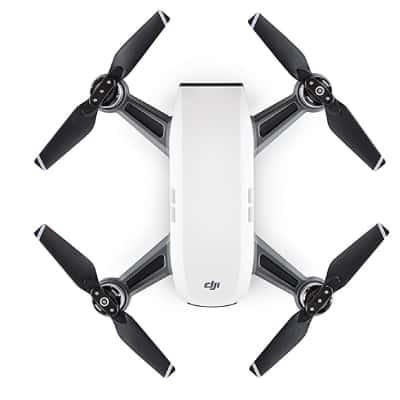 Read our full DJI Tello review for more information. DJI Mavic Pro Platinum Review: Is It Worth It & What’s The Difference?